Note : this Chronology first appeared in Hans Christian Andersen: Danish Writer and Citizen of the World (1996—edited by Sven Hakon Rossel; Rodopi). It appears here with grateful acknowledgements to Prof. Rossel. Hans Christian Andersen was born in Odense, Denmark, on April 2. Youthful Attempts; Andersen’s debut as a writer. Attends school in Slagelse and Elsinore. Passes the entrance exam at the University of Copenhagen. A Walking Tour from Holmen’s Canal to the Eastern Point of Amager in the Years 1828 and 1829 ; debut as a playwright with Love in Saint Nicholas Church Tower. Fantasies and Sketches. First journey abroad to Germany; encounter with Lugwig Tieck in Dresden. Shadow Pictures from a Journey to the Harz Mountains and Saxon Switzerland, etc. etc., in the Summer of 1831 ; Andersen’s first travelogue. Journey to France and Italy; meets Heinrich Heine and Victor Hugo in Paris; Bertel Thorvaldsen in Rome. Visiting Munich and Vienna. The Improvisatore ; Andersen’s first novel; Fairy Tales, Told for Children ; Andersen’s first collection of Tales. Five additional collection of tales. Only a Fiddler . Journey to Sweden; meets Frederika Bremer. The Mulatto; The Moorish Maid. Journey to Italy, Greece and Constantinople; returning via the Balkans, Dresden and Leipzig, where Andersen meets Felix Mendelssohn-Bartholdy. Meets Franz Liszt in Copenhagen. Meets Clara Schumann in Copenhagen. Journey to France and Germany; falls in love with Jenny Lind. Journey to Germany; meets the hereditary Grand Duke Carl Alexander of Saxony-Weimar-Eisenach. Receives an Invitation to visit King Christian VIII on the North Frisian island of Föhr. Journey to Germany, Austria and Italy. Receives, on January 6, 1846, the Knighthood of the Red Eagle from King Friedrich Wilhelm IV of Prussia. The True Story of My Life. Journey to England and Scotland. Meets Charles Dickens. Journey to Sweden. Invitation from King Oscar I. Journey to Germany, Italy, and Switzerland. Journey to Germany and Italy. Journey to Germany and Switzerland. Meets Richard Wagner in Zurich. The Fairy Tale of My Life. Journey to England as the guest of Charles Dickens. To Be, or Not To Be? Eleven collections of tales and stories. Receives the Maximilian Order of Art and Science from King Maximilian II of Bavaria. Journey to Germany and Switzerland. Journey to Italy. Meets Bjørnstjerne Bjørnson and Robert and Elizabeth Barrett Browning in Rome. Journey to Switzerland, Spain, Morocco, and France. Meets Edvard Grieg. Journey to Sweden. Invitation from King Karl XV. Journey to Portugal via Amsterdam and Paris. Two visits to the World Exhibition in Paris. Made honorary citizen of Odense on December 6. Meets Johannes Brahms in Copenhagen. Journey to Holland, France Switzerland, and Germany. Journey to Vienna and the Riviera. Lucky Peer; Andersen’s last novel. Meets Henrik Ibsen. Journey to Germany, Austria, and Italy. 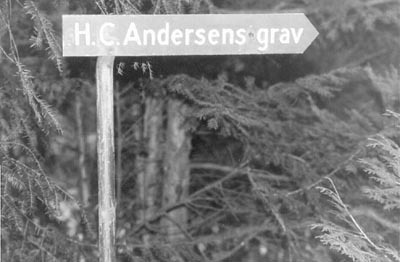 Journey to Switzerland; Andersen’s last journey abroad. Andersen dies on August 4 at Rolighed by Copenhagen; funeral held at the cathedral of Copenhagen on August 11.